U.S. singer Bob Dylan performs on stage at the Workers’ Gymnasium kicked off his first-ever China concert in Beijing, heralding his long-awaited Chinese mainland concerts to mark the energetic artist’s 50 years on the performance stage. The concert was not met with the same enthusiasm and passion typical for concerts starred by Mandarin-speaking pop singers or even popular Chinese rockers. Dylan, who will turn 70 in May, performed 17 songs ending with “Forever Young” to a nearly packed audience at downtown Beijing’s Workers Gymnasium. 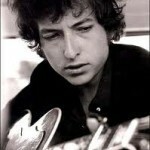 The audience are mostly young Chinese Dylan fans in their 20s and 30s and a significant number of older foreigners living in China. Fans were seen clad in Dylan T-shirts while one wearing a cowboy hat. David Cantalupo, an American who has been living in China for 25 years, said he was not satisfied with the show and had expected something better. “But that is Dylan. 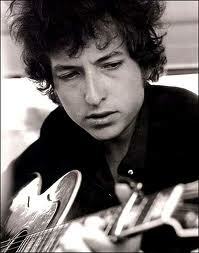 I am not surprised.” He said while Dylan is a music legend, he is very individualism. 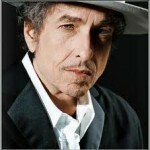 Without the Internet and international promotions, Dylan’s songs only entered China in the 1980s, with “Blowin’ in the Wind” as an English-learning material that later became immensely popular. Chinese music critics say Dylan can not be counted as popular in China due to the language and culture barriers. The first Chinese rock fans started to appreciate Dylan from the 1990s. They had to largely rely on CDs through underground channels. Dylan’s name grew bigger in China with the popularity of the Internet downloading and the opening-up of China’s music industry over the past decade.